Minority and indigenous cultures around the world are seriously under threat, says Minority Rights Group International (MRG) in its annual flagship report, State of the World’s Minorities and Indigenous Peoples, which focuses in 2016 on culture and heritage. 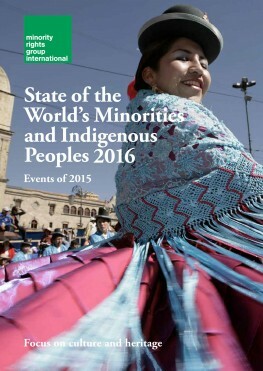 The 2016 edition of State of the World’s Minorities and Indigenous Peoples highlights the impact of armed conflict, land dispossession, forced assimilation and discrimination on the most fundamental aspects of minority and indigenous identities, namely their languages, art, traditional knowledge and spirituality. In Iraq and Syria, minorities such as Christians, Turkmen and Yezidis, are being targeted with human rights abuses, including looting, house burning, torture, sexual assault and murder. Entire communities are being displaced from areas where they have lived for centuries. For smaller minorities, this means that their cultures are at risk of being totally eradicated. Many states engage in acts of destruction or repression for political or economic gain. 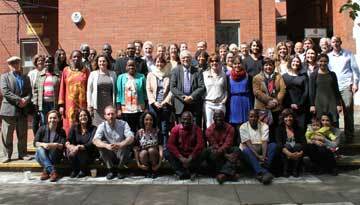 Land grabbing and forced evictions, often to accommodate large-scale agriculture and infrastructure projects, conservation programmes and tourism parks, have not only deprived minority and indigenous communities of shelter, livelihoods and essential resources, but also threaten the very basis of their identity. For many communities in Africa, such as Kenya’s forest-dwelling Sengwer or the numerous indigenous peoples residing in the Omo Valley in Ethiopia, culture is intimately linked to access to land. In China, the government has combined large-scale urbanization programmes with a highly securitized attitude towards local communities in regions such as Tibet and Xinjiang. Cultural and religious practices are often actively repressed by the authorities. The destruction of the old city of Kashgar, with its characteristic Uyghur mehelle neighbourhoods is one example. In the Americas, celebration of indigenous and minority cultural heritage occurs alongside both ongoing abuses and misappropriation. In Brazil, for example, the apparent celebration of indigenous and Afro-descendant culture ahead of the 2016 Olympics in Rio de Janeiro has occurred alongside continued violence and land grabbing. In North America, the legacy of oppression is still felt in the misuse of indigenous traditions, such as the inappropriate use of tribal names and symbols for sports teams, fashion and fancy dress. Meanwhile, in Europe, many governments have seen the swelling number of refugees as an issue of security rather than one of humanitarian protection, causing a shift in popular attitudes towards ethnic and religious minorities in general that has contributed to the rise of right-wing political organizations, with actively hostile policies towards Muslims, Jews, Roma and other minorities. Many community members have been targeted solely on the basis of their identity, while places of worship, graveyards and cultural centres have also been attacked. The State of the World’s Minorities and Indigenous Peoples also includes examples where minority and indigenous activists have drawn on their cultural heritage to mobilise their communities. People of Haitian descent in the Dominican Republic are using street theatre to combat discrimination; Roma in Italy are running educational programmes to teach the general public about Roma history and culture, and Maasai in Tanzania have secured intellectual property rights. ‘While the outlook may be gloomy, we shouldn’t forget that many minorities and indigenous peoples are actively drawing on their cultures and heritage in new and creative ways in order to combat discrimination, build community support and garner much needed income for their members,’ says Soderbergh.